The Qolsys IQ2 Battery is the backup battery for the IQ Panel 2 and IQ Panel 2 Plus Systems. This device will store power while the system is running on AC power, and it will activate automatically whenever the power goes out for any reason. 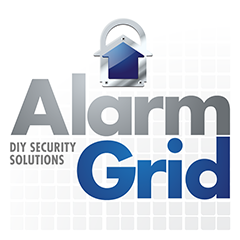 Purchase the Qolsys IQ2 Battery from Alarm Grid. The Qolsys IQ2 Battery is the backup battery for the Qolsys IQ Panel 2 and IQ Panel 2 Plus Systems. This accessory will provide consistent power for the system in the event of an electrical outage. The system will automatically switch over to battery power whenever AC power is lost. Keeping the system running during a power loss is extremely important for reliable and consistent monitoring. As the system is running on AC power, the battery will be slowly storing power so that it is prepared for an outage. The battery can keep the IQ Panel 2 System running for up to 24 hours when power is lost. With its lithium ion technology, the IQ2 Backup Battery maintains an impressively long product life. This makes it ideal for use as a backup power source. Note: This is model number QR0041-840. Do not confuse this product with the IQ Battery QR0018-840 which is designed for use with the original IQ Panel. How Do I Replace the Battery on an IQ Panel 2 Alarm System?